It is about a boy that goes to camp and all the weird things that happen. What was your favorite thing about the book? When Nate saves a puppy. 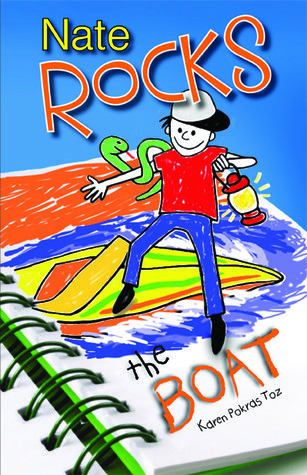 What 3 adjective describes Nate Rocks the Boat? Boys 8 - 13 that like books about the fourth grade or maybe if you are in the fourth grade. On a scale of 1 to 5, with 1 being I hate it and 5 being favorite book EVER, how do you rate it? Because I'm a girl I say 4, but if I was a boy then it would be a 5. My Characters Are Getting Punchy!